Subscribe to get deals from hundreds of merchants including the best of LAZADA! Limited for redemption until 30 June 2019. Valid for use on every Thursday.This Lazada promotion can only be redeemed via Mobile app only. Enter the promo code to enjoy the discount.. Please always check with the merchant on the validity of the promotion before purchase. Applicable to the first 500 redemptions monthly via the Lazada mobile app. Valid from 15 Mar - 30 Jun 2019. Discount may be redeemed on the Lazada mobile application (iOS or Android) only.. Please always check with the merchant on the validity of the promotion before purchase. This Lazada promotion is limited to the first 1000 redemptions. Offers are available from 9AM on 24 April until 26 April 2019. Applicable on Lazada iOS and Android Apps only. Offer is limited to Health and Beauty & Fashion categories only.. Please always check with the merchant on the validity of the promotion before purchase. This Lazada promotion is limited to DBS Woman's Platinum Card and DBS Woman's World Card only.. Offers are available from 9AM on 24 April until 26 April 2019. Applicable on Lazada iOS and Android Apps only. Offer is limited to Health and Beauty & Fashion categories only.. Please always check with the merchant on the validity of the promotion before purchase. Lazada offers y 15% off Babies & Toys categories with HSBC Visa platinum credit card on Mobile app only. The promotion is valid until 30 April 2019. Enter the promo code at the checkout to get the offer.. Please always check with the merchant on the validity of the promotion before purchase. Lazada offers 50% off storewide, capped at $10 with HSBC Visa platinum credit card on Mobile app only. The promotion is valid until 30 April 2019. Enter the promo code at the checkout to get the offer. Limited to the first 500 redemptions per month.. Please always check with the merchant on the validity of the promotion before purchase. Applicable to the first 10,000 redemptions via the Lazada mobile app.Thie discount is capped at $8. Valid from 15 Mar - 30 Jun 2019. Enter the promo code at the checkout to get the offer.. Please always check with the merchant on the validity of the promotion before purchase. This lazada promotion is valid from 26 January to 29 June 2019. Discount is applicable only with a minimum spending of S$250, capped at S$20. Dicount is applicable to 400 redemptions every week and will be refreshed every Saturday at 9am.. Please always check with the merchant on the validity of the promotion before purchase. This Lazada promotion is valid for the first 290 redemptions daily, from 9 am onwards from 1st February till 30th June 2019. Offer is capped at 10 redemptions per customer per calendar month. Please always check with the merchant on the validity of the promotion before purchase. Lazada offers 18% off for New Lazada Shoppers, capped at S$8 with Maybank Cards. The promotion is valid until 30 June 2019.Get the deal to enjoy this offer.. Please always check with the merchant on the validity of the promotion before purchase. Valid till 31 October 2019. Limited to the first 800 redemptions per month. Limited to the first 800 redemptions per month, excluding RedMart orders.. Not valid for shipping fees, Gold, digital goods SKUs, and Toddler Formula (0-12mths).. Please always check with the merchant on the validity of the promotion before purchase. This Lazada promotion is valid for New to Lazada custtomers only. valid for the first 1000 redemptions per calendar month. Voucher is valid for Qualifying Transactions effected from 1st January to 30th June, 2019. . Please always check with the merchant on the validity of the promotion before purchase. Lazada promotion is valid until 31 October 2019 for purchases via Lazada app only. Valid for new Lazada users only. Not valid for shipping fees, Gold, and digital goods SKUs. Limited to the first 1000 redemptions per month.. Please always check with the merchant on the validity of the promotion before purchase. Lazada offers 20% off via the Lazada app, capped at S$10 for New to Lazada Shoppers with DBS cards. The promotion is valid until 30 June 2019. Discount is capped at S$10, valid for the first 1,000 redemptions per month, for new shoppers only. Applicable on Lazada iOS and Android Apps only.. Please always check with the merchant on the validity of the promotion before purchase. Voucher is valid from 1 January to 30 June 2019.Voucher is collectible and automatically applied at check out page (if customer meets voucher requirements). Use Singapore Issued Maybank Credit / Debit Card at checkout page to get discount.. Please always check with the merchant on the validity of the promotion before purchase. Lazada offers up to 30% off Crazy coupons. The promotion is ongoing. Get these amazing deals on this valentines.. Please always check with the merchant on the validity of the promotion before purchase. Lazada offers 8% off capped at $20 official stores like Lego, Acer, Eurospace, Xiaomi, 3M, Yale among many others. Enter the promo code at the checkout to get the offer. T&C apply. Please always check with the merchant on the validity of the promotion before purchase. Lazada offers 10% off capped at $8 for all shoppers with Safra cards. The promotion is available until 30 June 2018 for all Lazada shoppers,valid for the first 200 shoppers monthly. Enter the promo code to enjoy the offer.. Please always check with the merchant on the validity of the promotion before purchase. Lazada offers 20% off storewide with HSBC cards. The discount is capped at S$10, limited to the first 500 redemptions per month. Enter the promo code at the checkout to get the offer. T&C apply. Please always check with the merchant on the validity of the promotion before purchase. Lazada offers 10% off storewide + free delivery(capped at $5) with PAssion cards. The promotion is valid until 30 April 2018. Enter the promo code at the checkout to get then offer. T&C apply. Please always check with the merchant on the validity of the promotion before purchase. Discount capped at $10. Valid only with Singapore Issued Standard Chartered Credit / Debit Card. Enter promo code at checkout to enjoy discount. Promo Code: <SC2017>. T&Cs apply. Please always check with the merchant on the validity of the promotion before purchase. Searching for the best Lazada promo code or discount coupon codes in Singapore? You are at the right place! We have the latest credit card promotions by Citibank, UOB, OCBC, HSBC, DBS, Standard Chartered, as well as Safra Lazada discount code here. With just a click of your mouse, you will get that perfect dress or pair of shoes that you’re after, sans the long queues and walks going from one shop to another. Sometimes, even for a cheaper price too! 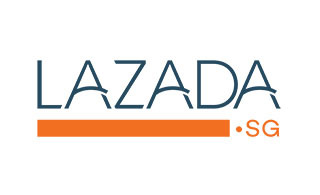 Lazada is synonymous with online shopping in Singapore. It’s one of the best shopping websites to go to because of the wide range of products they offer. With over 20,000 products they sell online, it’s no wonder why Lazada’s a trusted name when it comes to online shopping. What's more, with Redmart Singapore now available within the Lazada Singapore platform, you can even shop for groceries and fresh produce right on the Lazada app! Since 2012, Lazada’s been making a name in the fashion and homeware industry. Over the years, it has expanded its product offers to travel deals, groceries, and pet needs. 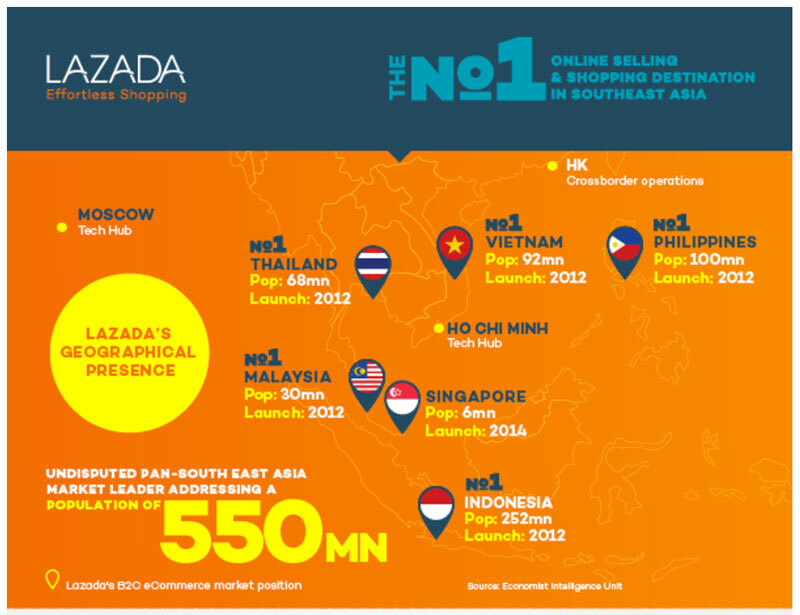 Lazada’s the number one, undisputed, online shopping destination in Southeast Asia. Millions of shoppers visit the website regularly. Because the interface is easy to understand and shopping and payment made easy, it’s no surprise that people of all ages trust Lazada for their shopping needs. Lazada is the one-stop shop for everything. They sell different product categories including homeware and living, fashion, health and beauty, technology and consumer electronics, and even home appliances. Whether it’s an international or local brand you’re after, they have everything so you don’t have to look somewhere else. Plus, there are brands and lines that are exclusively available on Lazada which you won’t find anywhere else. As long as you have your phone or computer with you and a reliable internet connection, you can just sit back and relax at home, and click away. Their products are categorised accordingly too, so shopping will be a breeze. You can even use their search bar if you’re looking for a particular product or brand. Lazada also understands the importance of safe and secure online shopping, which is why they have different secure payment options that you can choose from. And if you don’t want to share any of your details online, you can always opt for cash-on-delivery. This way, you will only need to pay for your order once you’ve physically received the goods. Shopping at Lazada’s made easy. It doesn’t matter if you’re a computer pro or a bit technologically challenged, because buying that blender or lounge you’ve been eyeing on is easy as 1, 2, 3. You can browse products by either looking at the category menu or by using the search bar. After you find the main category, you can narrow down your search by choosing a sub-category. Click on what you want to buy and check product information to make sure that you have the correct size and colour that you want. This will also show you product availability and expected delivery time. If you’re happy with everything, click add to cart. Before finalising that order, check that cart details are all correct. This will also be the place where you will see suggestions and products that other shoppers bought with the same item. If you still want to add to your cart, you can do so here or you can also just proceed to payment. If you can’t be bothered to create an account with Lazada, you can always just provide your email when checking out so you’ll receive order notifications and tracking. However, having your own account will make it easy so you don’t have to put in all your details every time you order. If you’re not in a hurry, you can choose standard delivery as it’s cheaper. But if you need your order ASAP, prepare to pay a few extra bucks for next day delivery. Make sure that all details are correct so there won’t be any delays, and that your phone number is provided so you will receive notifications via SMS. You can pay for your order with your credit card, PayPal or Alipay account. If you want, you can even pay cash on delivery so you won’t have to share your information online. And if you have a voucher code, remember to apply it to your order so you can save on your purchase. This is your last chance to change and confirm your billing and delivery information, so make sure that all details are correct. Click ‘Place Your Order’ to finalise your purchase and to get your order number. No need to memorise or write this down as this will be sent to your email and phone number as well. Online shopping doesn’t have to be a pain at all. Just download the Lazada app so you can do your shopping anytime, anywhere. With their commendable customer service, expect order satisfaction each and every time. Also, don’t forget to subscribe to their newsletter as well to be the first one in line to know about their sales, promos, and vouchers. You will see a screen similar to the one below, with a "Enter Voucher Code" box.